Fresh from featuring on the Art Is Hard Dry Route To Devon compilation/map, Big Wave have managed to nab a support slot with this year's crossover stars Metronomy at their homecoming show. With this new three-song EP available to stream it's easy to see how the two bands both compliment each other. Whilst on The English Riviera Metronomy have captured the long faded glamour of the South Coast, Big Waves music feels more like an encapsulation of the last of the halcyon days of the English seaside. It's as though their music comes on a dusty postcard from the tail end of the '60s showing young families and couples enjoying the late afternoon. But I won't say 'borrowed nostalgia', because Big Wave are at least a thousand times better than even the best of your 'chillwave' acts. Their perfectly crafted, sweet little pop tunes may be completely unseasonal but everything about them is completely heart-warming and endearing. Take 'Wild Strawberries', for example (track three here and the one from the aforementioned map) with all of it's “ba-ba-da-ba”s and jangly guitar. It's a perfect example of how indiepop continues to appeal while providing a individual and geographically unique twist on what the listener might expect. Although it's safe to say that 'Wild Strawberries' stands out through familiarity, the two new numbers, 'Another Year Or Two' and 'The Rosenbergs' are easily as good and ensure that the EP feels balanced and complete rather than just the first three songs that the band had ready. The title track should please fans of She & Him, with Ella's lead vocals out in front and a classic indiepop chorus. Of course, fuzzy guitars lead the chorus (but unlike their '80s counterparts this feels deliberately restrained rather than weedy or tame) and are pulled back for the keyboards to provide a sumptuous melody in the verses. 'The Rosenbergs' is, of the three, the least instant. Jesus And Mary Chain-eque reverb claimes Big Wave's place in with more established contemporaries such as Dum Dum Girls and Veronica Falls, whilst the prominent and steady drumming sits this more in the indie vain than the other more pop indebted numbers. That it sits in between the others on the tracklisting means that the EP flows better and better demonstrates the talents of the group. 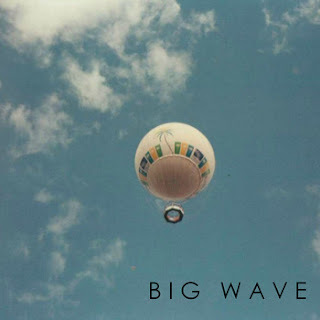 Aside from saying that Another Year Or Two is an absolute gem of a find, and that Big Wave are one of the key indiepop acts to look out for in 2012, it's worth mentioning how great this actually sounds. Wonderful and spacious it even sounds good on my crappy laptop speakers. It seems that you can have everything. Great songs, great band and great sound! !